orange flowers.jpg, originally uploaded by c_p_lew. This is the entrance to a neighbor's driveway. I was amazed by the quality of the light this morning, still kinda blue when the sun hadn't touched yet, and the glowing orange flowers. I was kinda hoping that an orange-robed monk would walk by right at that moment - but didn't happen. 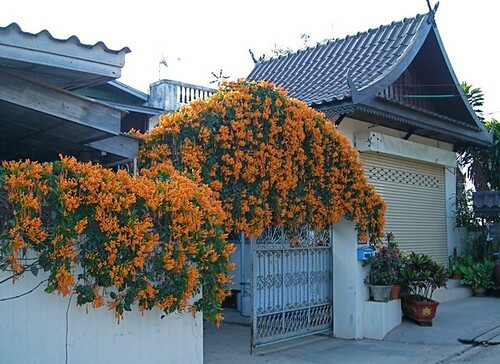 The orange of these flowers are the same color and intensity of the monks' robes.